A friend of mine is always marveling at the blue skies around Wellington, so I had to try to capture one. I love this. 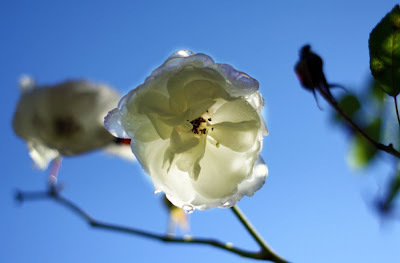 The white flower contrasted against the blue of the sky.